Cost £8.50 (incl lunch and refreshments on arrival and end of day) Please send cheques to ACWW Derbyshire inc SAE c/o Derbyshire House. Closing date Monday 1st April. Last year we collected £4000 Pennies for Friendship at the Winding Wheel and some of you may have been wondering what was going to happen this year following the changes to the project funding process. However, the way you write your cheques will change. We finished 2018 in good style with 2 very successful Midlands Supporters Days. 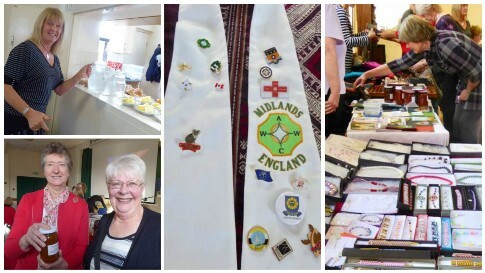 We welcomed old friends from across Derbyshire but several WI members came for the first time. Between the venue in Glossop and Derbyshire House over 120 members enjoyed listening to Hazel Armstrong talk about monitoring projects in Mongolia. I will be sending the Application form for our Spring Supporters Day on April 15th later in Jan. Put the date in your calendar. 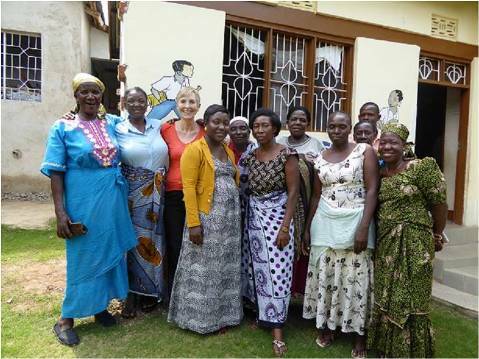 Many of you were very busy in 2018 raising funds for the Rice and Maize growing project in Tanzania, benefitting 161 young women. I am pleased to say with your help we were able to send off a cheque for £3,743. The definition of "Midlands" is definitely becoming elastic. We were joined by ACWW County Reps from N Yorks, Essex, Hereford, Northamptonshire who are all busy in their own Federations. It was great to hear all they do but I'm biased for me - "You're Simply the Best"
Wishing you all the 2019 you're hoping for. 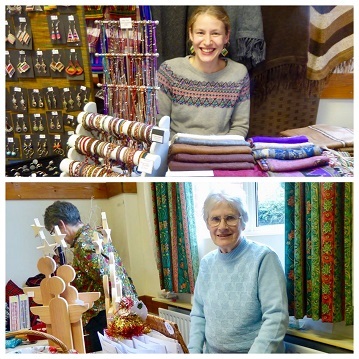 Today three Baslow WI members attended the ACWW Christmas Market Day at Derbyshire House. Lovely sales tables, Santa's Socks and a huge raffle! Delicious home-made soup for lunch and fruit punch at the end of the session. Excellent speakers gave members plenty of information and fund-raising ideas to take back to their WIs. This was a great day out! Thanks ACWW committee for your hard work and skilled organisation. 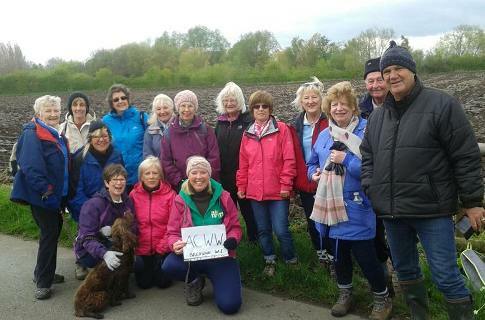 Well done to the Breaston WI ladies (plus partners and friends) who walked 10.31 km and raised £70 for ACWW . And an extra special well done to Julie for organising it . It's hard to believe I'm talking about Spring when a freezing wind is blowing sleet around but spring events are upon us. Spring Council is Pennies for Friendship time. Make your cheques to ACWW (PfF) and place in an envelope. Write your WI and the amount on the envelope, as this makes it easier for Liz Neal to give me the total. You will find Liz in the Winding Wheel foyer with a large collecting basket. If no-one is coming to Spring Council you can send it to Sherwin St. I hope you will be able to join us at our Spring Supporters Day at DFWI HQ Sherwin St on April 16th. Click here for application form. 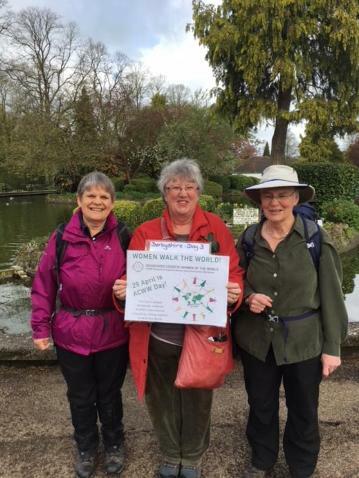 Some of you may be planning a walk to participate in Walk the World on April 29th, but you might like to join Chrissie Bedwin and Liz Christian, two of our committee members, as they walk the Derwent Heritage Way April 24th-April 27th. Details of their itinerary is below should you wish to walk to meet them. Chrissie has set up a donation page at Virgin Money if you want to support them. This is a link to their page http//:uk.virginmoneygiving.com/chrissiebedwin or you can google Virgin Money Giving and search on Chrissie or Liz's name. ACWW - Walk the World 2018! 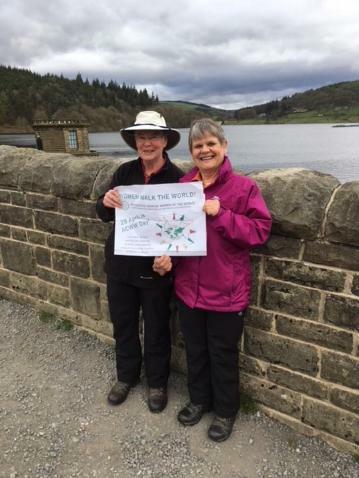 We cannot Walk The World but we can walk the Derwent Valley Heritage Way following the River Derwent from the Ladybower Dam to Derwent Mouth where the river joins the River Trent. We would welcome people joining us for parts of the walk either as part of their Walk The World effort or just for fun. We will be setting off from the starting point at 10:00 each day and will walk steadily having a lunch break and a couple of drinks breaks somewhere every day. We cannot guarantee that we will be at an intermediate point a specific time. If people wish to walk with us in the morning there are suggestions on how to return to the start point. People will have to confirm bus & train times for themselves! If people wish to walk in the afternoon, we suggest that they walk the route backwards from the day’s end point until they bump into us and then turn round and walk back to the end. On the Friday afternoon we will be leaving Shardlow at 14:00 to walk the final mile of the route with as many people who wish to join us. The route is flat apart from the climb over High Tor on Day 3. As much of it is near the river, it can be very muddy depending on what the weather has been like. Route old railway track to Shatton, field paths round Hathersage to Leadmills bridge, field paths through Grindleford to Froggat, track to Calver, field paths and lane to Bubnell, pavements through Baslow. Route through Chatsworth Park to Calton Lees, field paths to Rowsley, pavements though Rowsley, field paths and pavements through Darley Bridge, field paths and pavements to Matlock. Return must walk back to Shardlow, as no road! As we approach the end of 2017 it's a good time to celebrate what a great year we've had. We have had the most people attend our November Supporters Days. Hazel Armstrong gave a presentation at Derby and Glossop on several projects. Debbie Reardon is the Friendship Link Co-ordinator and will help to put individuals or WI's in touch with same across the world. I have scanned and attached the application form if you are interested. Click here for Friendship Links information letter. We fed back on the ACWW European Conference held in Romania. Sue told us how WI's had established a link with women in Romania after Ceausescu. 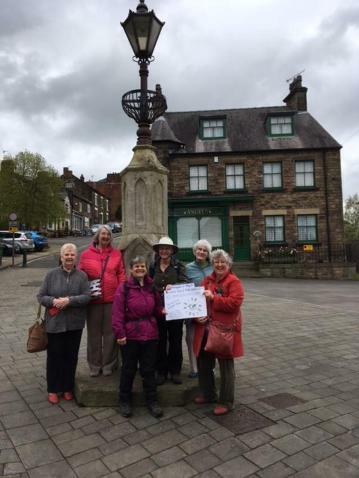 After the meeting we discovered that a lady present at Glossop had been part of that group. If anyone knows who she is please let us know. Chrissie Bedwin visited the Domestic Violence Refuge in Sibiu that Derby supported. They continue to grow and support women and children. Liz Christian gave a personal perspective on Transylvania and Sam covered the business of the conference. After completing our sponsorship to Kituntu, Uganda Water for Life project to provide clean water to 834 people, we signed up to sponsor "Cows for Dalit Widows". 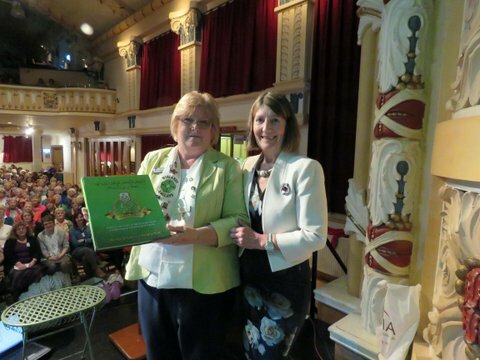 Derbyshire WI's have been so generous raising funds via tea parties, sales etc. We are well on the way to meeting our commitment. At the Spring Council meeting WI's donated £5k Pennies for Friendship. We had a very successful meeting in April with an excellent presentation about polio vaccinations in India. The ACWW committee thank you so much for all the support you give us throughout the year and wish you "Merry Christmas and a Happy New Year"
BOLSOVER WI has this article in the ACWW magazine 'Countrywoman' - well done. Maggie Smith and friends have raised over £600 so far for DFWI projects for ACWW by making items for sale around the theme of cows! ACWW - ASSOCIATED COUNTRY WOMEN OF THE WORLD: Today eight Baslow WI members enjoyed their day at Derbyshire House for the ACWW Christmas Market. Inspirational speakers told us about the international projects they had been involved with and shared fundraising ideas. The ACWW Team at DFWI welcomed us and provided us with great hospitality including a lovely light and warming lunch. Thanks - may we come again? WI members from all over Derbyshire enjoyed a wonderful day at DFWI HQ yesterday. In the morning we learnt about various projects, these included goat, pig, water and vegetable garden projects. Lunch consisted of tasty thick soup and delicious fresh fruit and we had time to chat and of course shop! Our afternoon speaker was Gregory Mastalick who told us all about eradicating polio. Sam our ACWW rep will be reporting fully in the near future.Thanks to Sam and the DFWI ACWW Team for their hard work making this day so informative, inspiring and successful. I hope you have all enjoyed the summer. Some of you have been really busy fundraising helping us towards our commitment to providing cows for Dalit widows. We have received some fantastic cheques over the past few months. Maggie Smith of Bolsover set herself the target of funding 1 cow by selling cow themed craft items, to date she's raised enough for 2! She will be brining items for sale to Glossop. Her work inspired a member of Bolsover's poetry group and I attach a copy of the poem. After the fundraising ideas I sent out last year Stapenhill had asked members to count all sources of water:- taps, toilets, sinks etc and donate a small amount for each. They raised over £50! Greg McScarlick talked to us about immunising children against polio in India. So simple, so effective. Last year there were just 37 cases of polio in the world. Eradication is so close. April is Walk the World month (29th) We have been asked for a sponsorship form so I have attached a copy. Remember it's not about how far, if you walk on the 29th you will connect with women all over the world. Just enjoy your walk and raise funds for ACWW. If you send your cheques to Derbyshire House, made out to ACWW Derbyshire and marked WtW on the back, we can submit 1 large cheque to ACWW cutting down on their banking charges. Don't forget to send me photos. A quick reminder for those collecting Pennies for Friendship throughout the year. February is your last chance to collect at your WI before handing it in at the Spring Council Meeting. Please make your cheque payable to ACWW (PfF). Envelopes will not be sent out through Link so please use any spare envelope but remember to write the name of your Institute and the value of the cheque on the outside. We can then announce the total in the afternoon. Derbyshire WI's raised £5365.73 in 2016. Let's see what we can do in 2017. Remember if you want to know more about Pennies for Friendship and the work of ACWW you can always invite me to give a talk. We start 2017 with some great news. Following the November Midlands Supporters Day we fulfilled our commitment to sponsor the project in Kituntu. 834 villagers now have access to clean water. Never letting the grass grow, we have signed up for 2017's project. The aim is to provide 15 very poor Dalit widows with a milk cow. As the cows breed, further female calves will be passed to another widow. They will be able to sell milk and cow dung. It is expected that the beneficiaries, who presently have to rely on daily agricultural labour for employment, will have a more sustainable income as a result of this project allowing them to send their children to school and meet their family members’ other needs. They will become self-reliant and lead a more dignified life than before. ACWW is kept alive by the Pennies for Friendship fund. 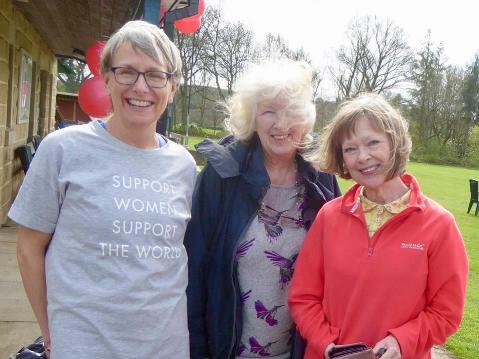 Without continued support from all members, ACWW will not be able to sustain the critical work it does worldwide..
Fine yourself 50 pence each time your mobile phone or watch alarm goes off in a meeting or other social gathering! We held 2 well attended Midlands Supporters Days in Nov 2015 and March 2016. Money raised at these events has helped Derbyshire towards fulfilling its pledge of £5317. We hope the events planned in Glossop on Oct 17 and Nov 21 will see the total reached. 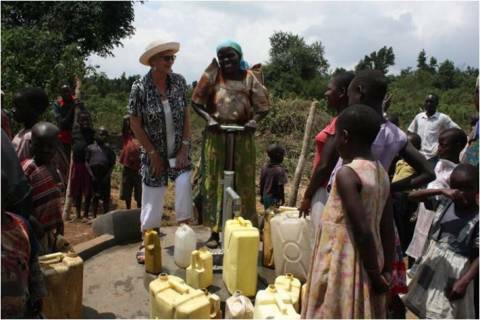 To date the villagers of Kituntu have built 2 of 3 wells, benefiting 834 people with clean water. 22 Derbyshire members attended the Triennial Conference at the University of Warwick, Coventry. 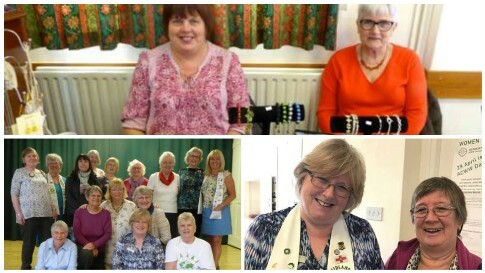 Sam has given 10 talks at WI's on the work of ACWW. Further talks are planned for 2017. Members continue to collect stamps, jewellery and coins to raise funds. 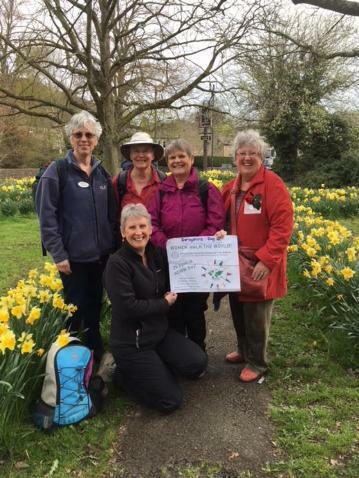 Over £5k was raised by Pennies for Friendship by Derbyshire WI's. 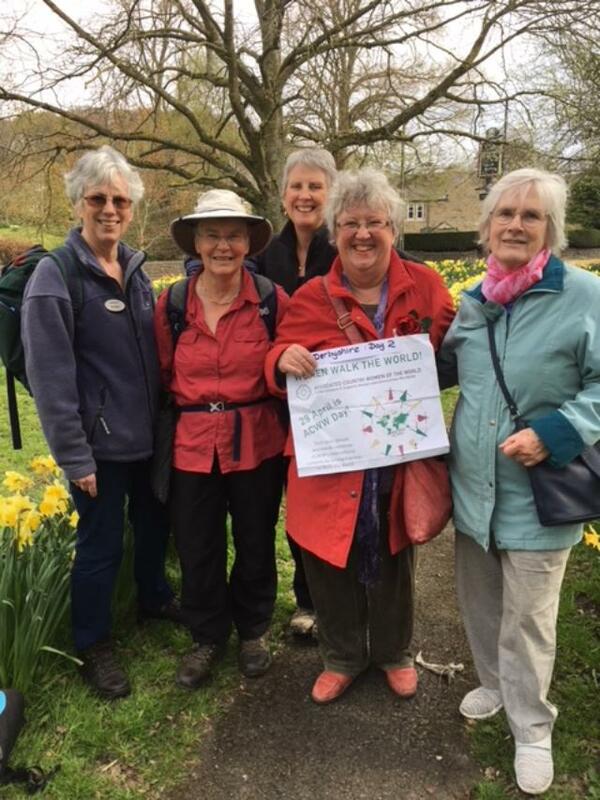 ACWW was well represented at the meeting with Sam Hall - Chair giving an update on the Triennial Conference earlier this year and announcing that Derbyshire Federation had already almost reached the target of over £5,000for the current water project bringing. 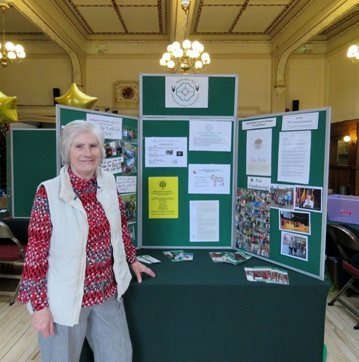 There was also an information stand manned by a member of the ACWW team. At the Bakewell Show on Thursday 4th August 2016, two ACWW representatives from New south Wales visiting for the Triennial Conference later this month, joined DFWI members for the afternoon. Phase 2 of a project which enabled water to be pumped into the village and increase the size of the holding tank. Women and girls no longer need to walk miles to collect water from the safe water well. We raised over £70 at Carsington Water when we were joined by members from Barlow, Belper, Breadsall, Chaddesden, Cromford, Risley Hulland & District, Old Brampton & West Hallam . I know many of you held your own Walks and I look forward to giving you that total in the near future. The day was sunny if a tad cool. 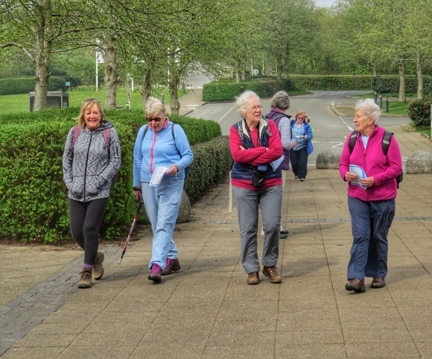 Members set off on walks of varying distances. "If you had told me I would be asked to design and stitch the only entry from England for an International exhibition in Malaysia, I would have laughed with surprise! But, I was asked just that last year. The quilt is now in Malaysia and the exhibition will be staged in June 2013. I hope you think I have adequately shown some of our English culture and history! " Safe Drinking Water in 12 Villages through bore wells in the drought affected villages of the KhammamDistrict of Andhra Pradesh, India. Why? The most drought hit areas where people really suffered for want of drinking water were selected. Safe and clean water would protect those people from water borne diseases like diahorea, malaria and typhoid. 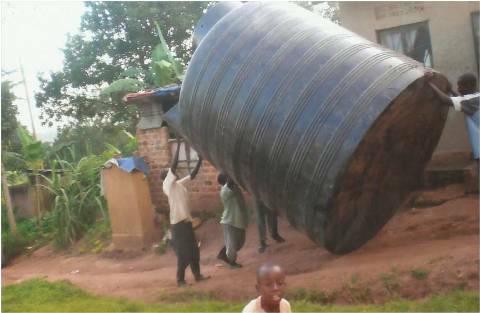 Result : The bore wells have solved the drinking water problem. They have brought unity and "helping nature" among all the people of different castes, religions and creeds. Usually women of different castes come together to draw water at the hand pumps and it gives them a chance to exchange their ideas and be united. All the hand pumps are being used by the people and they are happy that they have drinking water at their reach.In the surrounding areas there are no drinking water facilities due to severe drought. Now the beneficiaries are very happy and they are very grateful to you as they have clean drinking water. The aim is to support the activities of the shelter for abused women and their children in Sibiu,central Romania. The beneficiaries (the mothers and their children in the shelter, and others who seek help there from time to time) will be taught by volunteers how to knit and how to make soft toys (bears).